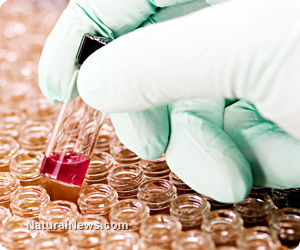 (NaturalNews) This is breaking news in the field of cancer screening and testing. We now have a simple (harmless) blood test that can detect and precisely identify all cancers tested to date - way before conventional medical procedures, like positron emissions tomography (PET scans) or biopsies. On the next NaturalNews Talk Hour - Dr. John Apsley and Jonathan Landsman reveal not only how to detect and precisely identify cancer in its earliest stages, but also how to eliminate cancer cells safely and naturally without the risks of toxic chemotherapy or overly aggressive radiation burning. All known cancers tested to date have a detectable (essential) protein. Without this essential protein, cancer simply disappears. And now cancer specialists, throughout the United States, can order a simple blood test to detect this essential protein. Generally speaking, by the time conventional medicine has given a cancer diagnosis to a patient - it's too late. You see - standard cancer screening procedures can only detect cancer - once the cancer tumor has developed into a billion cells or more. Think about it - you could have a million cancer cells running around in your body from longstanding degenerative conditions, and conventional testing is simply incapable of finding them. Fortunately, we now have the power to catch and identify nearly all forms of cancer - in their earliest stages of development - through a simple blood test perfected by two esteemed professors of pharmacology. The test was developed over 20 years, is very affordable and is analyzed in a CLIA certified, CAP accredited facility. This test is over 99 percent accurate, and can be collected at any medical facility or clinical laboratory in the world. After receiving a cancer diagnosis - what should you do? The truth is our body possesses a great ability to heal itself by way of its ability to regenerate itself. This is not based on wishful thinking - it's grounded in the scientific literature and successfully being utilized by many natural healthcare professionals. Naturally, if you want to eliminate cancer - you must change your bio-terrain to regenerate, thereby making it hostile for cancer cells to survive. Every cancer patient needs to appreciate the importance of minerals to ignite the "regeneration effect" from within. Did you know that a mineral deficiency can promote cancer cell growth? According to Dr. Apsley, "it has been the lack of minerals in our soils that has led to our weakened endocrine system, especially our thyroid function. As a direct result, our human constitution has been degenerating now for many generations." By eating and (more importantly) juicing raw, organic super foods, (select fruits and vegetables grown on rock dust rich soils) you will obtain these valuable minerals in colloidal form, which ignites the first stages of the regeneration effect. Cooking or processing these precious foods destroy the special regenerative minerals and enzymes that ignite regenerative repair. Remember, detoxification and full body oxygen saturation are also essential for cancer patients. Always work with a qualified, medical professional when undergoing such intensive regenerative programs. To find out more about safe and effective ways to detect and eliminate cancer cells - join us on the next NaturalNews Talk Hour. Dr. John Apsley holds degrees in medicine - MD(E), chiropractic - DC, and nutrition - BS. His board certifications include: Acupuncture and Meridian Therapy, Spinal Disability Evaluator (CSDE), and Insurance Claims Reviewer (IRC). He is also a qualified instructor of Electrodermal Scanning as well as Darkfield Microscopy. Dr. Apsley has written or co-authored five books, including a best seller entitled - The Regeneration Effect. Additionally, he has published and lectured extensively on the clinical applications of human regenerative techniques in medicine (Applied Colloidal Therapeutics - ACT).